This was my first week of sticking to the plan – sort of… Even though my Sunday run was broken into 2, I was still able to get the miles accounted for! With some new products that I am testing, I was able to make my miles count! Since today is my day off from running and the babysitter called in sick, my day was spent hanging out with little man and cleaning up from being gone over the weekend. With windchill and temps well below 0*F, I decided to head over to the gym. While I was able to get in my run barely before work, I need to work on my getting out of bed skills… With longer mid-week runs on the horizon, I need to be able to get up and going quickly! 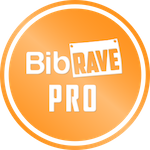 One big benefit to today’s treadmill run was that I was able to test out my newest BibRave Pro testing sample – pjuractive 2skin. I mentioned in my post last Friday that I was excited to try this product and so far, so good! To the gym! It is another COLD day outside…so I wimper my way to the treadmill. Heading outside for a little bit! The weather is starting to clear up and “warm up”…so heading out! Due to getting a new phone, backing up the old, not wanting to use the new one (until it was ready), I didn’t get a picture of my crazy pup and I out for a 2 mile jaunt : ) She was sure excited to get out and run with me! With a slightly late start, I was able to catch the group run as they were heading out! I ran the same loop, and then ran home…coming up a little short from 10, I grabbed the pup and she walked/jogged with me the last little bit. Great week as usual! You’re off to a good start for 2018! It’s always fun to test new products. I’ve never heard of SKIN. Let us know what you think. Thanks for linking! I am very impressed with your goal for this year! I am aiming for 1,200 miles. I am curious about the anti chafing gel. Chafing is the worst! The. Worst. I have chafed and bleed several times – no fun!